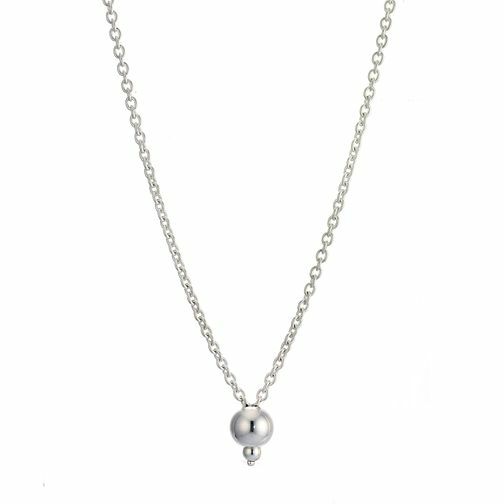 Chamilia Drop Chain Necklace 36"
Chamilia sterling silver drop necklace. Discover how many ways you can cherish those you love by creating one of a kind jewellery inspired by the important people in your life, or express your own personal sense of style, Chamilia jewellery. Chamilia Drop Chain Necklace 36" is rated 5.0 out of 5 by 3. Rated 5 out of 5 by Anonymous from I love this necklace I have had a charm bracelet for a few years now but it had become very tight and difficult to put on as it had so many charms on. This necklace is perfect for displaying my favourite charms, I love the length and it means I’m wearing my charms far more often. Rated 5 out of 5 by Anonymous from Chamilia products are fantastic I have purchased both the necklace & 2 bracelets. Also a number of beads. They are absolutely beautiful. Great price & quality. I have been recommending them to friends & family. I will certainly be purchasing more in the future.